A marketplace for your video creations. 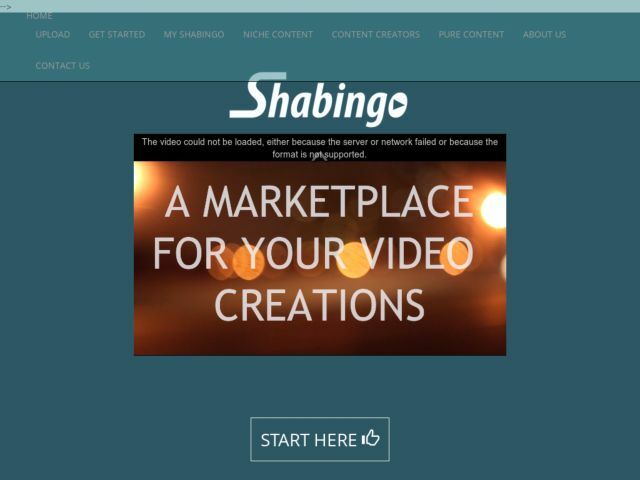 Shabingo is a site where anybody can upload an originally created video and request payment for giving unlimited streaming access to their videos. It is an alternative way to monetize your videos. Great for uploading tutorials, how to videos?, movies, and any niche content you think you can get paid for.